Today's server push added a timer to the Jackpot prize in Mom's Mystery Box. 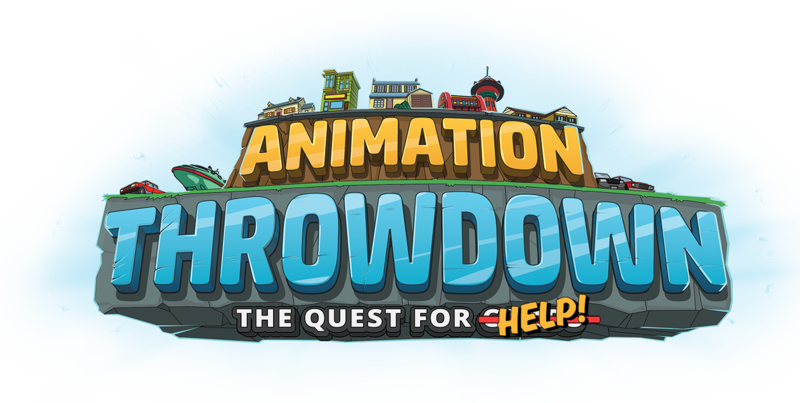 When the timer runs out each week, the Jackpot Prize will change! If you miss out on any Jackpot prize, worry not! The Jackpot will rotate between ALL mythics so it won't be long before the prize you're hunting for becomes available again. 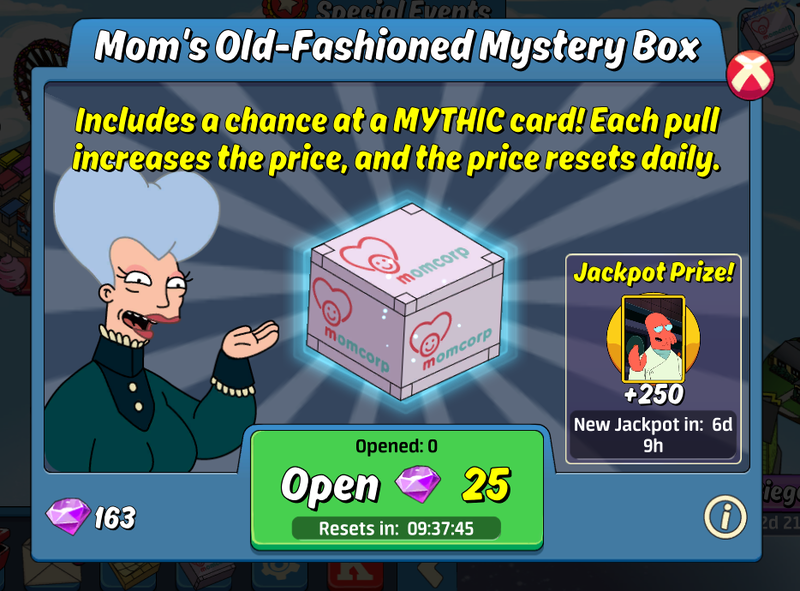 Currently, the newest mythics (Bob, Zoidberg, Boomhauer, Bullock, and Quagmire) are only available through Mom's Box Jackpot, special shop offers, and may become available in the future through special event rewards.